One of the largest Eurasian region business meetings to be hosted in Astana from 24-26 August. 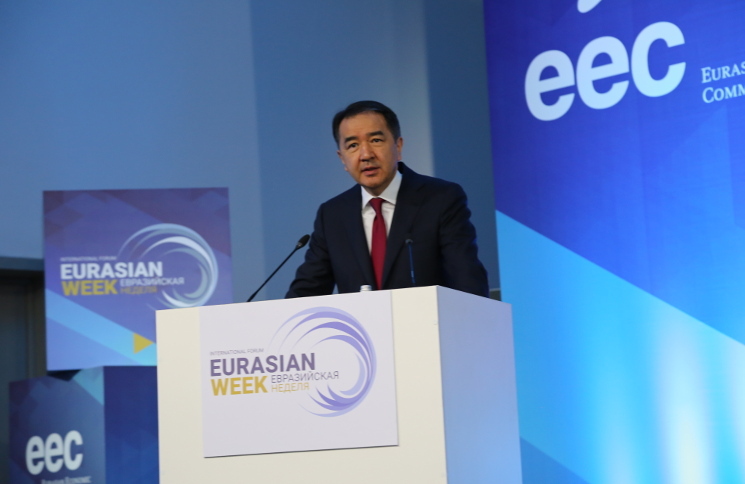 Focused on investment and export potential of the Eurasian Economic Union (EAEU), the Eurasian Week is a large annual business meeting aimed at developing the regional economy. The Forum offers opportunities for companies, entrepreneurs and investors to develop contact with other businesses and to discuss their development strategies in a context of global challenges. It will take place in the Congress Center annexed to the EXPO 2017 venue. The organizers of the event expect to gather over 2,000 participants from 35 countries over international cooperative projects and business networking. It is also a dedicated space to discuss common regulations, get training and find supporters and funders for projects in various industries. 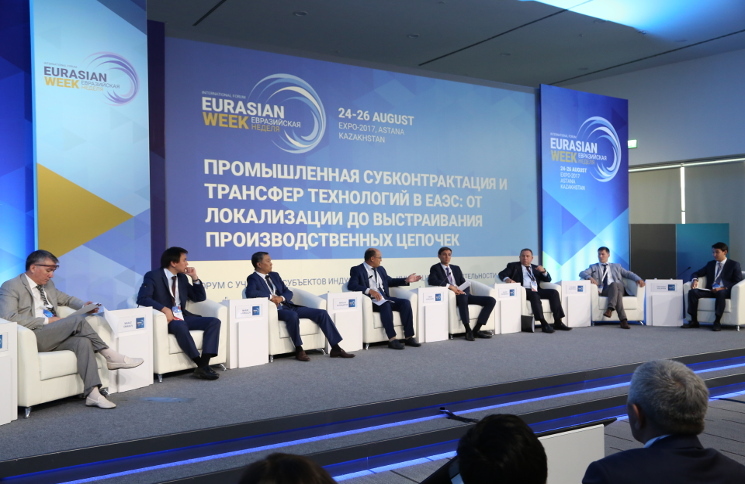 On August 24th, the speakers will debate competitiveness and potential points of growth in the current economic scenario; the next day, the conference will cover free movement flows in EAEU and the 25th will be dedicated to the economy of the future. The Forum’s speakers include: vice-prime ministers of EAEU member countries, members of EEC Collegium (ministers), officers of EAEU member countries’ ministries in charge of economic development, energy sector, communication, agribusiness and health, as well as heads of EAEU member countries’ regions and cities, officers of UN FAO, Unions and Association, and over 200 other business community officers and state agencies. Throughout the 3 days of the event, an exhibition will showcase export opportunities, bringing together more than 300 companies from the Union Member States that have an export potential. The main areas of the exhibition will include energy, IT and telecoms, agriculture, food industry, transport and logistics, engineering and automotive industries, chemicals, petrochemicals, pharmaceuticals and medical devices, metallurgy, mining, light industry, and wood processing. An innovative aspect of the Forum is that its participants will be able to invite any of the exhibitors for a bilateral meeting on the very site of the exhibition through an online appointment system. 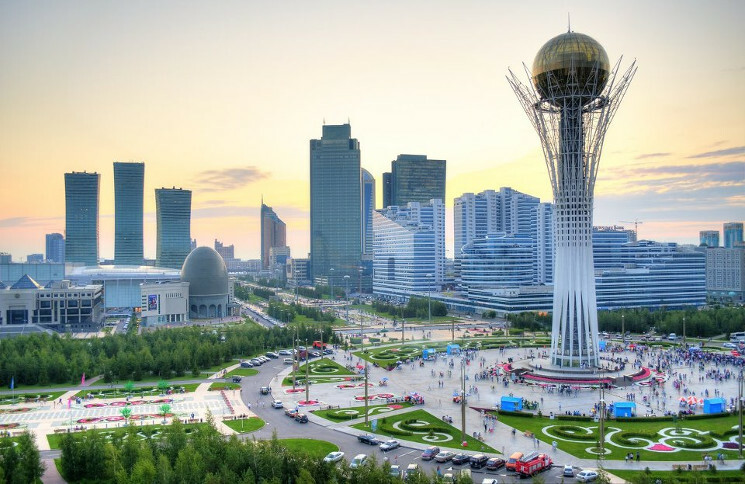 One of the youngest and fastest-growing capitals in the world, Astana, in Kazakhstan, impresses by its landscapes, as well as its warmhearted people and state of the art architecture. A major oil, coal, uranium and gas producer, Kazakhstan faces a good challenge in showing the world how to promote alternative energies in a global warming scenario as until September, Expo 2017 will attract around 95 countries and up to 5 million visitors. The event structure includes 80,000 personnel and a 173 hectares for the pavilions. Participants will have the chance to be presented with a wide variety of projects from companies and countries on the subjects of renewable sources of power, conscious consumption and technology. It is in that context that the host city for Expo 2017 will be welcoming tourists, government officials, entrepreneurs and scientists to the biggest gathering on energy in the world this year. One of its most important side events will be SIGEF 2017, the Social Innovation and Global Ethics Forum by Horyou. It will contemplate Future Energy, Smart Cities and the UN Sustainable Development Goals. Astana has been preparing for the event for years, not only by building infrastructure but also by committing to provide its visitors with an overall good experience that minimizes the impact on the environment. One good example is the agreement signed a year ago with the International Labor Organization, regarding sustainable tourism, whereby the country commits to promote green energy solutions in hotels and to organize a conference on tourism and future energy. Since it is the first time that an exhibition of this kind is taking place in a former Soviet Union country and Middle Asia Region, the organizers are eager to show more than expected from a world class fossil fuel producer. “We already use these technologies in the construction of buildings for the exhibition: embedded photovoltaic panels, installed wind turbines and geothermal systems,” said Aydar Marat, representative of the Astana EXPO-2017 committee. The United Nations Development Program, in partnership with “MEGA Silk Way”, Künde, “Public association of disabled people “Bakyt” and the Medical Center of Mental Health, have organized a crowdfunding campaign to open a coffee shop in Astana that promotes the integration of people with special needs. The coffee shop is Künde Café, an inclusive socially responsible café in Astana, Kazakhstan. Künde Café is an innovative social entrepreneurship projects that offers work opportunities to people with mental or special development needs, in order to better integrate them in society. The project started one year ago in collaboration with the Astana Medical Center of Mental Health, providing opportunities to people with special needs who are part of the Medical Industrial Workshops. One of the partners is Künde, a network comprised of 102 workshop personnel, their parents and friends, as well as psychologists and psychiatrists, along with students of Nazarbayev University and catering professionals. 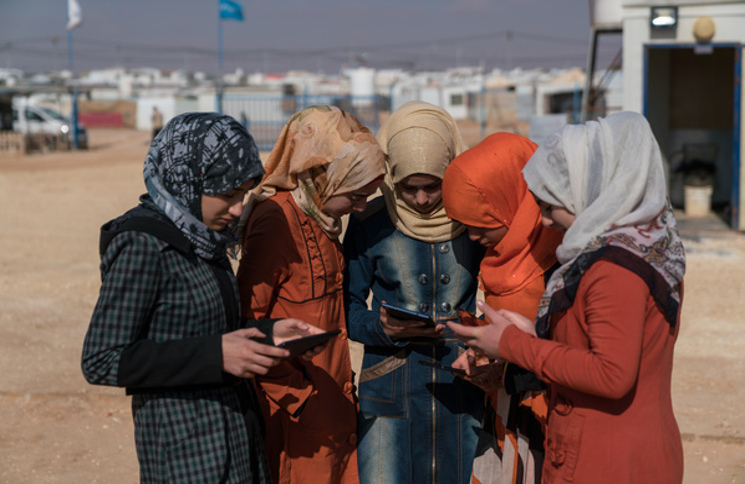 Besides raising funds for the project, the campaign aims to increase awareness of the issues that people with mental and development needs face everyday. A concert was held within the framework of the Sustainable Development Goals (SDGs), whose core message is to ‘Leave No One Behind’ and thus help provide good health and well-being, decent work and economic growth, and reduce inequalities, wherever they are needed. “When given an opportunity, people with special needs can become fully included into the society, and bring in transformative ideas, great knowledge and a wealth of experience. 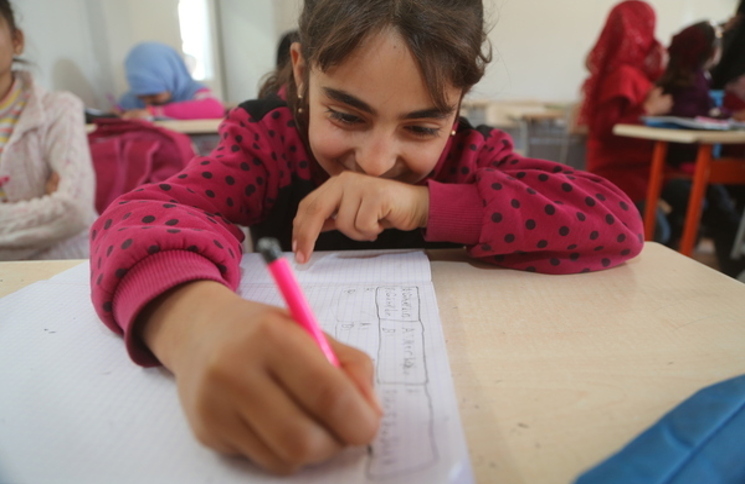 UNDP has been working to create and promote such opportunities for people with special needs for a long time and in over 170 countries around the world“, stated UN Resident Coordinator and UNDP Resident Representative, Norimasa Shimomura. “My aim is to work in the social café, get on my feet, make money, and improve my quality of life. I want to achieve all of that by myself. I would like to create a family. My goal is to achieve all of that and not give up,” declared Kuanysh Nogaibayev, one of the future workers at Künde Café. To date, approximately 600,000 people with special mental needs live in Kazakhstan. Less than 3% of those people have jobs. When launched, Künde Café will give them an opportunity to provide for themselves and their families, to socialize, and to successfully integrate into society. If you would like to support this campaign, become a part of Künde’s success story, and be a donor, go to this link. News from Astana is a content project by Horyou, the social network for social good and host of SIGEF 2017, the Social Innovation and Global Ethics Forum. The 4th edition of SIGEF will take place in Astana, Kazakhstan, from 5-7 September.